It is not often that sueded silks come along now. They used to be more prominent, and I loved working with them a while back, but they are more unusual now. The suede silks are as exactly as the name suggests – it has a sueded surface. It is so lovely to the hand, you can’t help petting it! This silk is lightweight, completely opaque, very fluid, lots of body, and will be fantastic for draping, gathers and some volume. It has a good stretch, somewhere between 10 – 20%, with fantastic recovery. The print features a soft navy blue background. 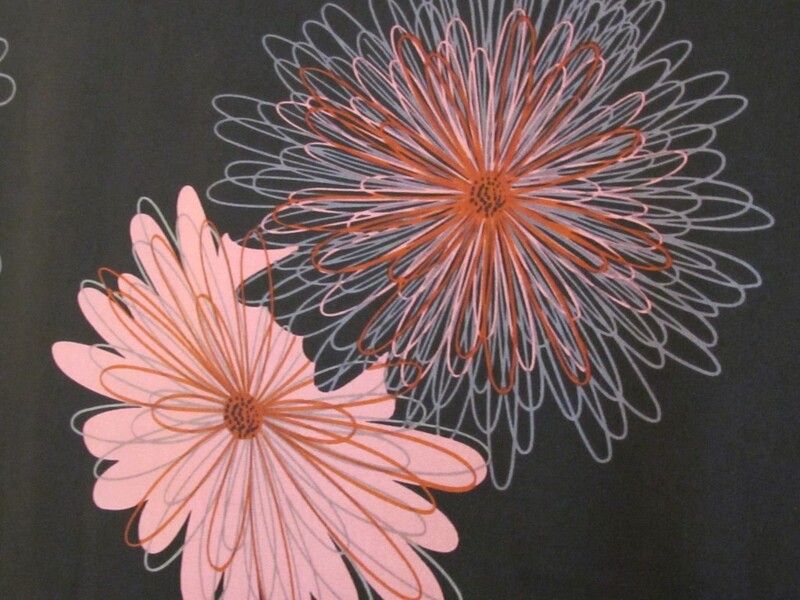 Coral pink daisies and grey “spirograph” daisies, both with sienna centres, sit over the surface. 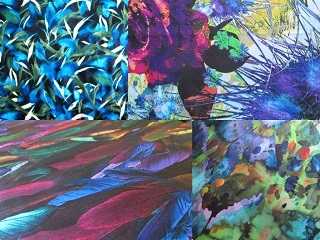 Tops, dresses and skirts all come to mind for this fabric. Really, you can do what you want, subject to the yardage. Really interesting cutting on the dress on the left, below. You’ll be able too see the different seam lines if you look closely. 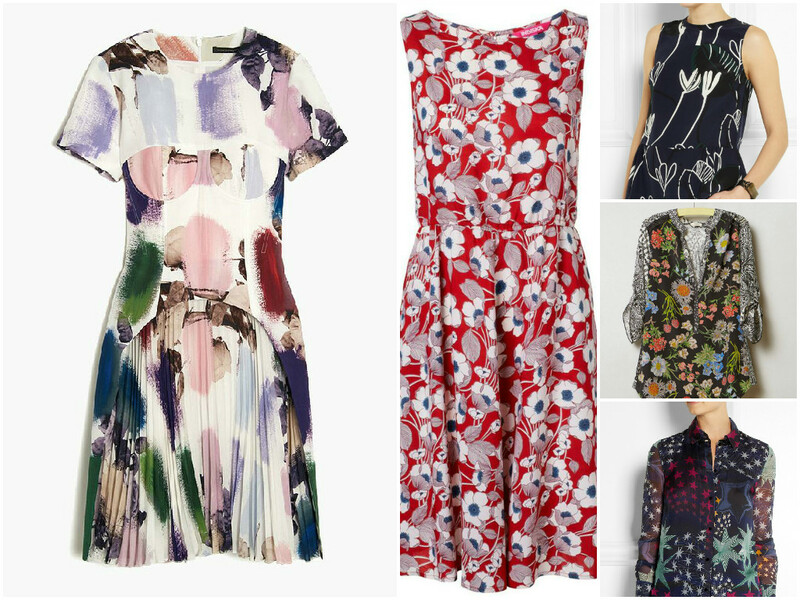 It is a Christopher Kane dress. That guy is so talented, he’s always coming up with new ideas. I do need to point out one detail on this fabric. It was sold to me by the yard (America!) but in fact there is a faint print line marking the print repeat every metre or so, or at the halfway mark with this fabric. If you look at the top image again you will be able to pick this line up in the bottom quarter of the image. I also have this fabric in brown with gold flowers (which will go up at some stage) which also has the same thing, so it is a feature of the repeat, not a flaw. You will just need to take this into account when planning your garment. 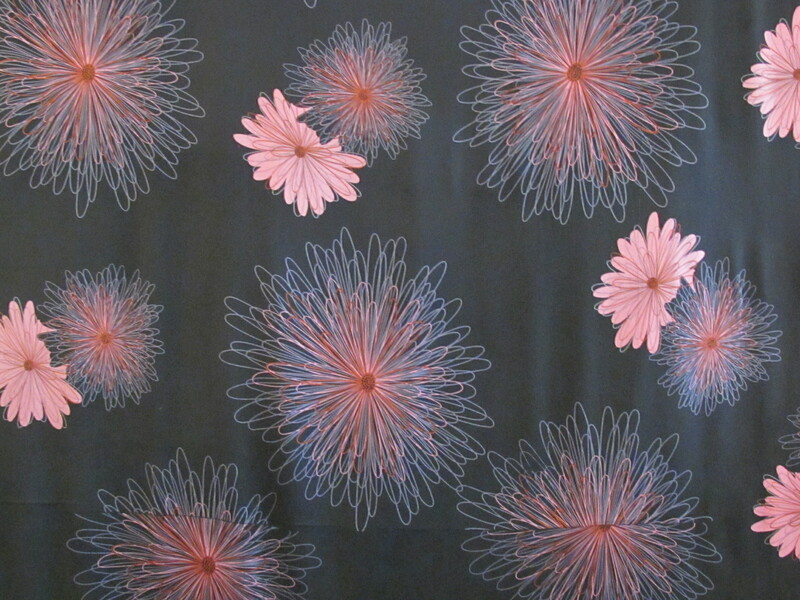 This fabric is 100cm wide and the length is 2.2 metres. 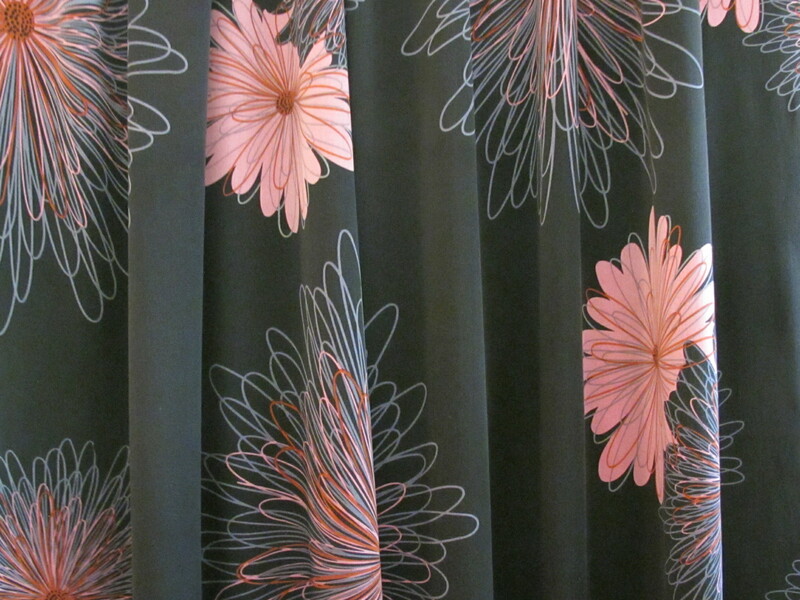 The fabric price is $25 a metre/$55 for the piece. 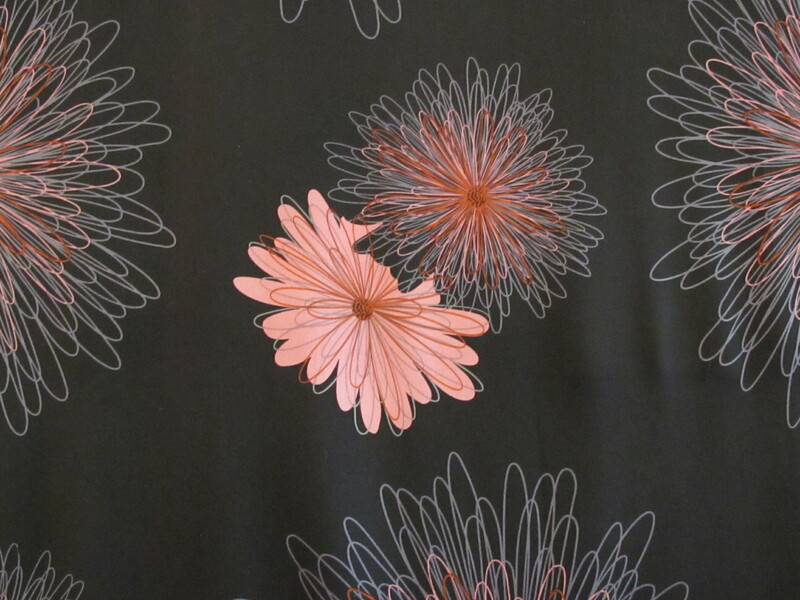 I can post this fabric in the small satchel for $8.25. Please see here for full details on payment and posting. If interested, please click on the email link below; fabric details will appear automatically and I will get back to you asap. (Australia delivery only thanks).